Washington D.C. may be currently covered in snow, but warm fuzzies abound here as a 2014 budget has passed into law. Take a deep breath, and think about the planetary science community’s successes. We’ve secured $1.3 Billion dollars to do planetary exploration. Our missions are healthy: Cassini, Curiosity, MESSENGER, JUNO, and more. ESA’s ROSETTA mission successfully reawakened from hibernation, ready to go comet hunting. Europa got a big boost with the news from the Hubble Space Telescope hinting at tidally-driven water geysers. What have you done to share this news with your family, your community, your representatives in Washington? Drop me a line; I’d like to share some of your stories. If you are a scientist concerned about NASA’s Research and Analysis reorganization, please communicate your thoughts with the members of the Planetary Science Subcommittee (PSS), as well as the members of the various assessment groups. The input will be considered soon, so take the time now to share your opinions about this draft rollout with the assessment group chairs and PSS, especially thoughts on how to improve the rollout. Remember Carl Sagan’s TV show, Cosmos? There is a new version, Cosmos – A Spacetime Odyssey (see its trailer) hosted by Neil deGrasse Tyson on Fox. Wait, why Fox, you ask, aren’t they anti-science? The answer is: indeed Fox - because of the people who watch Fox. These are precisely the people we need to reach if we want to rekindle a fire for space science exploration in the heart of America. The premier episode airs on 9 March 2014. Leverage this: offer to be the host at a Cosmos kick-off event at your local library or middle school; invite your non-astronomy buddies over to watch an episode of Cosmos. Let me know some of your other ideas. Finally, planetary science was featured in the New York Times today. Kenneth Chang examined fiscal limitations that may affect some upcoming decisions, including the Senior Reviews of Cassini and Curiosity. As Chang points out in his closing sentences, after the late 1980s when NASA planetary science was truly threatened and a ten-year-long cessation of planetary launches ensued, our community regrouped. The resultant priorities developed into the Cassini mission, and eventually the reinvigorated Mars program and all the missions in flight today. Those of us who were young planetary scientists during that dark decade of no missions (which encompassed my entire grad-school career) did not despair. We kept the faith, we imagined the future robust program, and we worked to create the program we have now. I adjure you to keep the faith now. Focus on the future. Make your dreams real. Dr. Heidi B. Hammel is the Executive Vice President of AURA, which operates the Hubble Space Telescope and many other observatories. 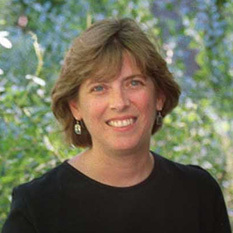 She is the current Chair of the Division for Planetary Sciences (DPS) of the American Astronomical Society. She also serves as the Vice President of The Planetary Society. I am shocked at the condescending arrogance of this post. To quote: "Wait, why Fox, you ask, aren’t they anti-science? The answer is: indeed Fox - because of the people who watch Fox. These are precisely the people we need to reach if we want to rekindle a fire for space science exploration in the heart of America." Do you realize that the NPR/PBS-loving Obama administration cut planetary science -- trying to misappropriate money specifically set aside for that purpose? It was in large part due to the Fox watching House Republicans that funding was restored. Space exploration is alive in the heartland. Limousine liberals tried to kill it. This is the worst example of liberal bias I've seen in a long time. Planetary Society -- you cn do better than this. I agree 100% with George. Don't you think Fox viewers visit the Planetary Society? It makes no sense either -- if they are anti-science, why would they broadcast it? Besides, Fox broadcast isn't Fox News, is it? Why be so arrogant as to alienate people? I hope you can do better, Planetary Society. I think it is well known that many FoxNews viewers are suspicious of science and scientists in general and are generally much more prone to believe in conspiracies. Examples include the purported Minnesota landing hoax, Benghazi, etc. etc. I know MANY MANY family members and friends who fall into that category. Unfortunately, Christopher is correct that the folks who watch Fox aren't necessarily the same people watching FoxNews. Moon landings NOT Minnesota landings. Stupid spell checker. Regarding the Fox reference, readers may be interested in an LA Times article entitled, “Cosmos on Fox brings Seth MacFarlane's audience to science,” which describes the back story of how this series ended up on Fox. It begins “What do crude pop culture comedies like "Family Guy" and "Ted" have in common with a soaring exploration of the universe? Seth MacFarlane, of course.” http://lat.ms/KKPc54 Neil deGrasse Tyson has discussed this issue in public lectures, and I agree with him: we need to bring science shows to the public through many venues including Fox, not just show them on science-focused networks. Heidi has good ideas because you need to reach those who are not with your goals. Certain mentalities only do not watch a specific network only. Mass market approaches are needed to reach the masses. Converts will be made; maybe a few, maybe more. On the lines of mass marketing we need to take up some good old television advertising strategy to get out the word on us. One package adv. will not be enough. We need a few different adv's. for the various interests that people have. A 30 sec. run on each would do it. Using planetary scientists and former and new astronauts would help with the push. I know this is not popular since I have pushed it a few years ago but I still think it needs to be done.